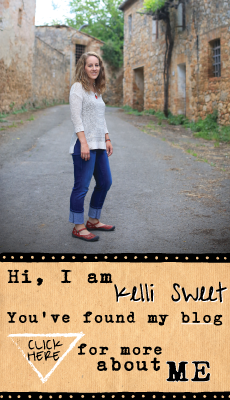 sweetkelli: I joined the MAFIA! I've always admired the community and creative spirit of the Omaha Craft Mafia. I've been a fan of their work for some time. Simply an observer . . . from the outside. But, now I am a member. How cool is that! Thank you Ellene for inviting me to come explore my creative side. I continue to meet amazing women - I love it! Tonight we had a craft night where we explored the use of screen printing with a product called PhotoEz. Very cool, light sensitive product that makes reusable screens in a matter of minutes. I ran out of time to make screens from my own designs, but I did purchase a pre-made screen that I had fun using. The attached photo shows the screen on the right and my blue print on grey linen-like fabric on the left. I can't wait to try some printing with some other designs. I think some of the logos for Wear Yellow Nebraska would be cool - I could use Drew's power crab. Or, possibly a bicycle from the Rollin' to Colon logo? Options, I've got options. I'll keep you posted on the progress of this bag. 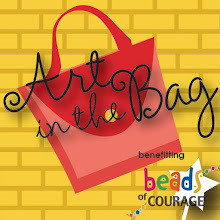 I think this might be a fun candidate for one of my Art in the Bag donations. next time you go play, you have to let me know! I love the screen print! these turned out gorgeous kelli! !